Microhard - Radio Network Editor. 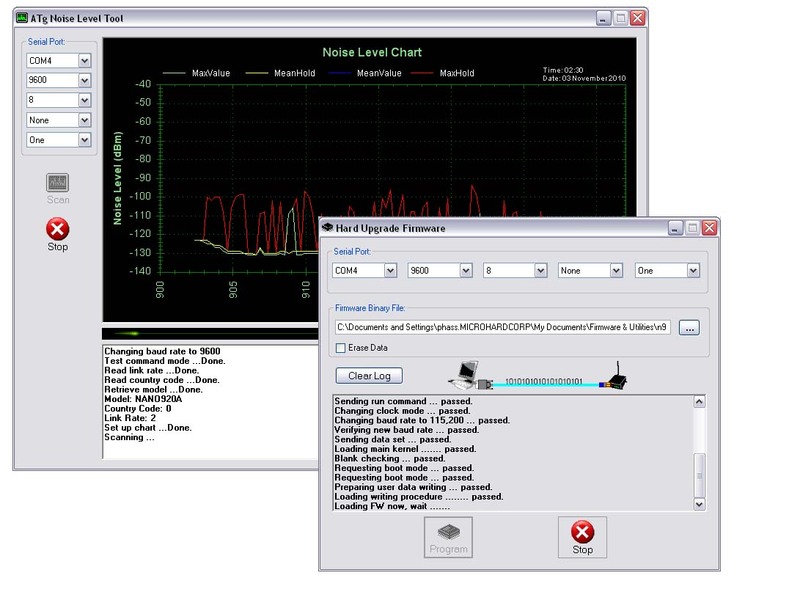 The new version of our Radio Network Software can be used with our serial modems to graphically configure, manage, troubleshoot, upgrade and monitor wireless networks. 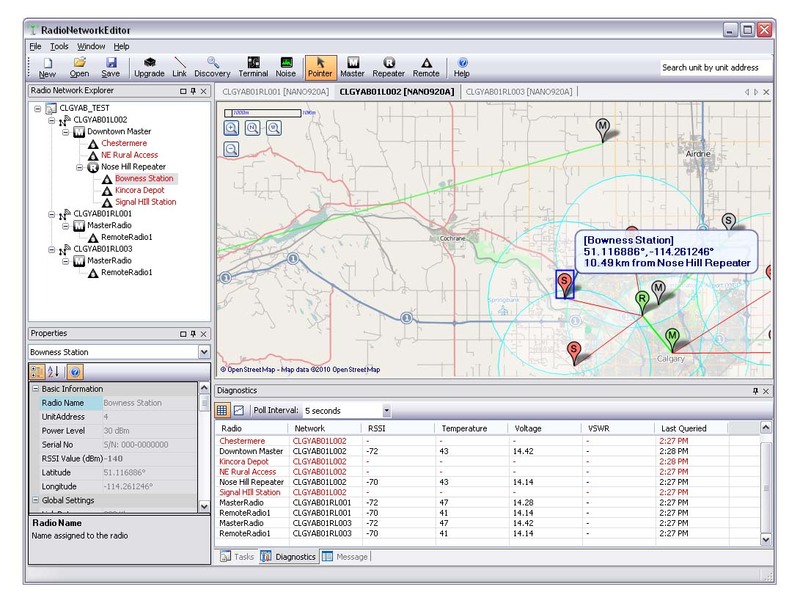 Locations of the radios in the network can be positioned on a detailed, updated map interface with point and click or by entering in precise GPS coordinates. Network status can then be monitored and diagnostics can be used to prevent, identify and resolve problems.